Filmul cu papusi pentru adulti, Loosers, al teatrului „Buchty a loutky“ (Cozonacii si Papusile), e un tribut adus povestilor de proasta calitate. Un conflict aparent fatal este batut de o dragoste si mai fatala, si nu numai una singura ci chiar patru. Blestematul este incoltit si dragostea cvadrupla biruieste. Vocile personajelor apartin unor celebrii actori de teatru si film. Vizual, filmul are tot felul de detalii brutale, si prezinta translatii bruste intre scene revoltatoare si scene de dragoste… ca in viata reala. 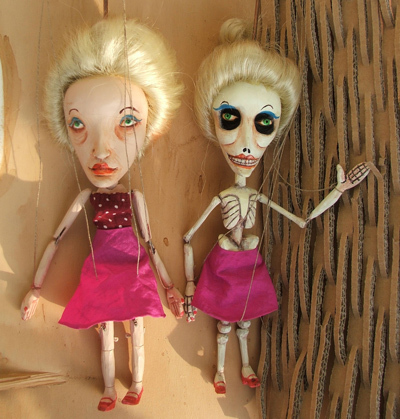 The puppet film for adults Loosers, made by the legendary theatre group Cakes and Puppets, is a tribute to garbage and trashy stories. A seemingly fatal conflict is beaten by evidently equally fatal, if not even more fatal, love affair, and not only one but four love affairs. The villain is driven into a corner and the four-time love wins. 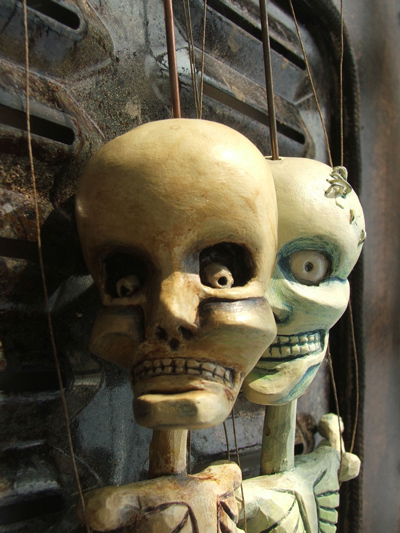 The voices of the puppets belong to renowned Czech film and theatre actors. As for the visual esthetics, the film is filled of brutal details, revolting scenes alternating with affectionate ones… just like in real life.